Here is a list of books that I have on my bookshelf along with quick reviews from my blog. This page will be updated as I continue to add books and book reviews. 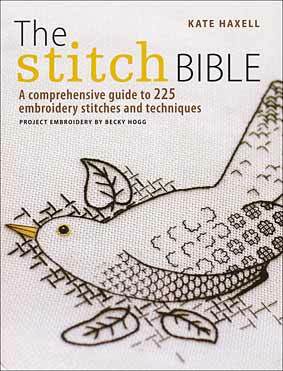 “The Stitch Bible: A Comprehensive Guide to 225 Embroidery Stitches and Techniques”- Kate Haxell– This is a fantastic book with a variety of different needlework styles and stitches. The stitch instructions could be a little clearer, but it is a MUST HAVE for anyone who is interested in the needle arts. 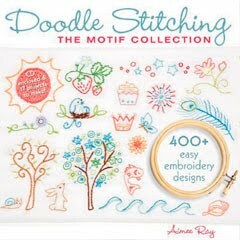 “Doodle Stitching: The Motif Collection”- Aimee Ray– I love these ADORABLE embroidery designs! Aimee Ray has a series of books with embroidery designs filled with sweet, little “doodles” that you will want to make! 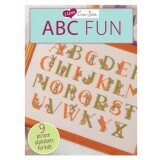 “I Love Cross Stitch: ABC Fun”– Another fabulous UK find at Joann’s, this adorable book is full of themed alphabet patterns. I’m already working on cross-stitch of my friend’s name using the cuter than cute bunnies from the cover. 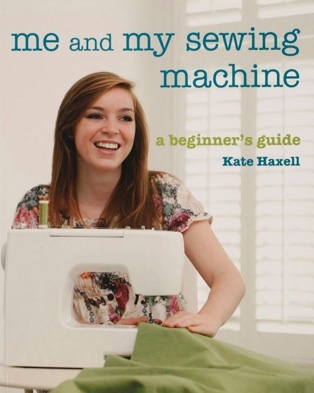 “Me and My Sewing Machine: A Beginner’s Guide”- Kate Haxell – Simple projects that allow a beginner to build their skills. “The Quilters Catalog: A Comprehensive Resource Guide”- This book is the essential guide to everything quilting for beginners and experts alike. Quiltmaker– When I started out, I subscribed to about 5 different quilting magazines. Quiltmaker is the only one that I have renewed. I like the designs, and the instructions are easy to follow. The Sept/Oct 2013 issue is the best of both worlds, with quilt patterns that utilize embroidery! Cross Stitcher Magazine– I bought this on a whim at Joann’s, and liked it so much that I ordered a subscription. The magazine is published in the UK, so the cost is higher than most, but each issue include a free mini kit! At the back of each issue they have ads for people looking for specific kits, or donations of supplies for school projects. They also have ads for penpal connections to bring like-minded crafters together!